Really, who doesn't like a Datsun 510? Classic shape, great aftermarket, and a storied racing history. 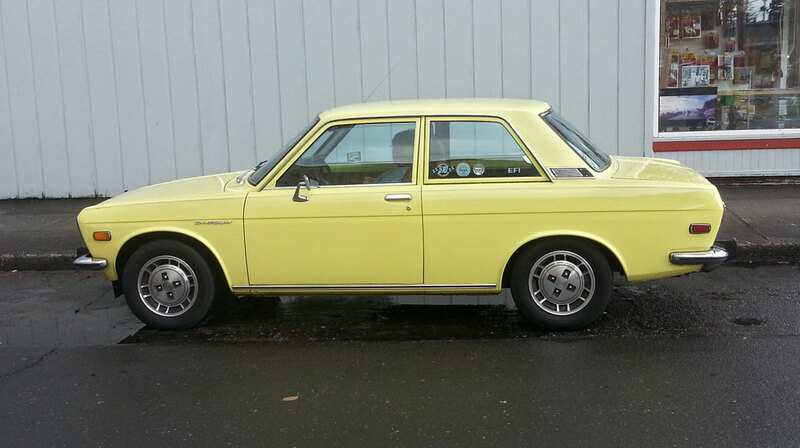 Most of the 510s I'm used to seeing are customized, though. Lowered, fancy wheels, fat fender flares and so on. 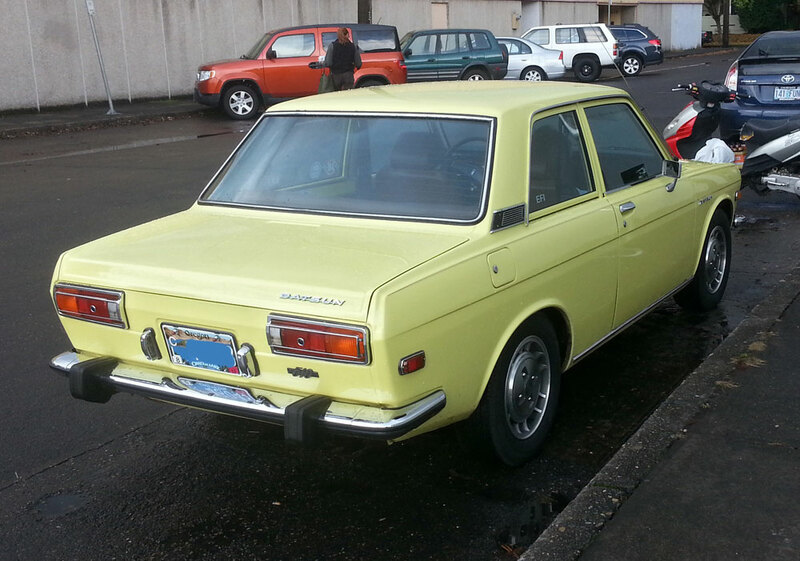 However, on Saturday, I spotted this flawless 510 in near factory guise. As I am not an expert on the 510 line, I don't know if the aluminum wheels were a stock option, or if those happen to be off of a later-model Nissan. Regardless, this ultra-clean version looked like it just came off the showroom floor. While it's always fun to see a highly modified vintage car, it's really cool to see a vehicle like this as it may have looked in the showroom. For all I know, it might have some fire-breathing engine under the hood—I'll probably never know. Regardless, this was a flawless 510. I bet that in about 15 years from now, seeing a flawless near factory showroom condition 1991 to 1994 Nissan Sentra SE-R will also leave people in awe. Heh! There's a couple of tasteful mods here- the wheels are from an early '80s Maxima and there are JDM/Euro taillights with blue dots (the originals had red, not amber signals).